It is traditional for Haitians to make kites (kap) for Easter (Pak). 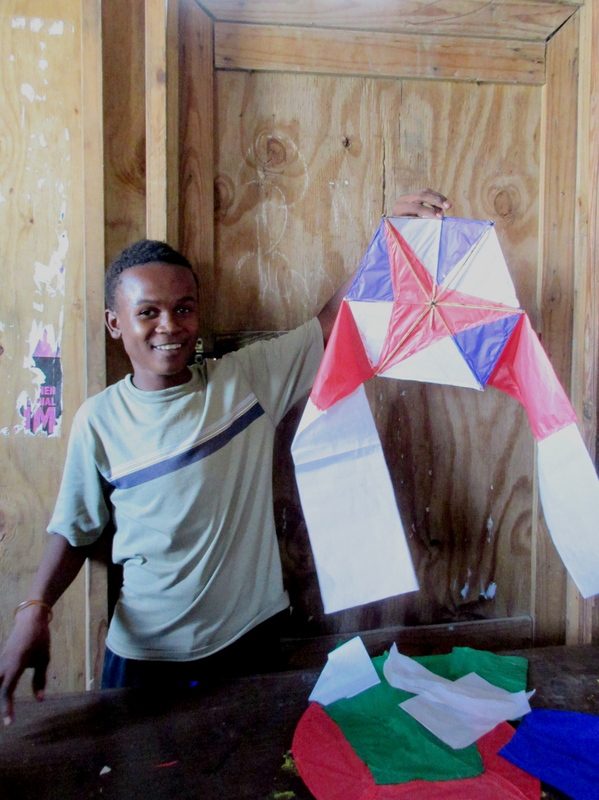 Youths gathered at SAKALA to create their own kites out of paper, sticks, and string for the upcoming celebration. On Easter Sunday, the kites went up into the air! Sa se foto yo kote nou tap travay poun prepare PAK an KAP nan SAKALA.